The workings of a pipe organ are generally a mystery to lay people, who generally are only aware of how expensive repairs can be. Here’s some news about our organ repair project which may be of interest to people. I’m also attaching photos. 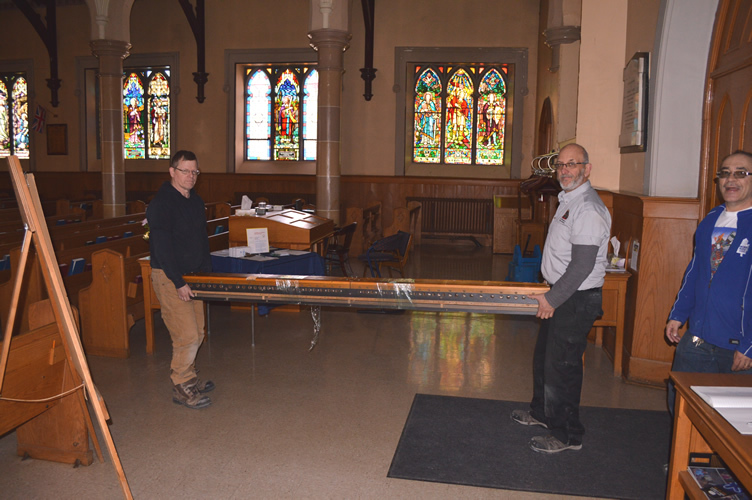 The organ technicians were in yesterday to begin Phase One of our rebuild project. 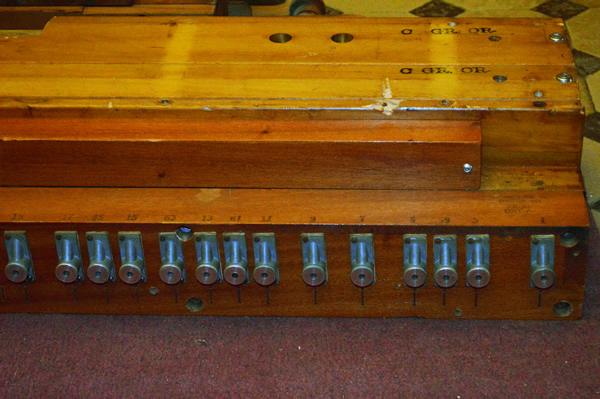 They removed the the Great Organ (i.e., lower keyboard) distributor, the “brain” which connects the electrical signals from the console to the pneumatic valves which cause the pipes to speak. There are hundreds of delicate leather parts in the distributor which have dried out and cracked over the years, causing notes to spontaneously play or not play at awkward moments when the organ is being used. 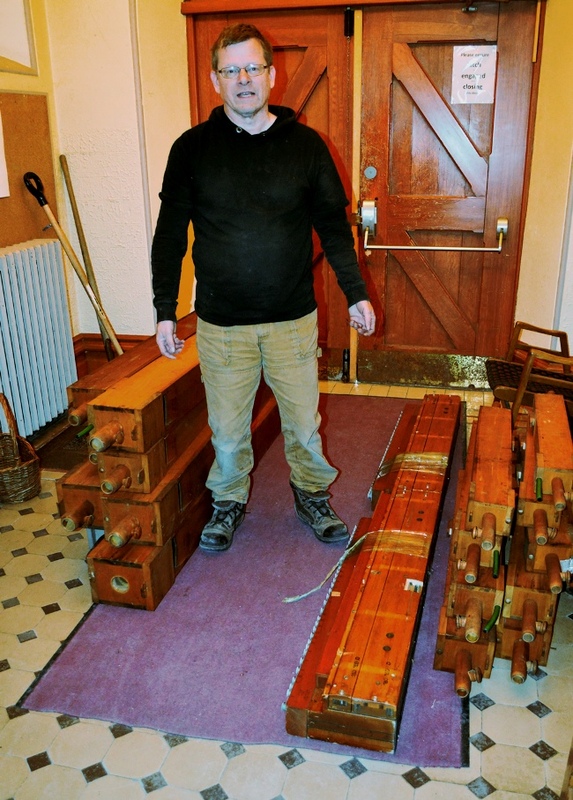 The large Bourdon pipes for the Pedal Organ have also been removed, in order to replace the dried-out leather on their “stoppers” (i.e., adjustable plugs in the pipes, used for tuning). I’ve attached some photos for your interest. The upshot is that for two or three weeks we will be without half the organ, including the lower bass notes. When these are repaired and brought back, the distributor for the Swell Organ (i.e., upper keyboard) will be removed and similarly restored. It was nice to read about this but it would be interesting to note how many ranks the organs has, the specification, the builder, and if any changes will be made in the specifications. I look forwasrd to reading these details as submitted by my former teacher and current friend, Charlie.